Sprint (NYSE: S) today announced agreements with Metrum Technologies, LLC and Tollgrade Communications, Inc. that will help electric utilities improve the efficiency of distribution and management systems, essentially making the smart grid smarter. Metrum’s entire line of smart meters is now available with Sprint wireless connectivity. Tollgrade will offer Medium Voltage (MV) sensors with Sprint wireless connectivity by June 2012. The sensors provide fault detection and location, asset management, load monitoring and power quality information for utilities in urban and rural locations. Sprint is building on a long history of providing utilities with wireless infrastructure by collaborating with Metrum and Tollgrade to provide wireless services that enhance electric grid reliability, optimize service delivery and improve efficiency. Both companies will utilize the Sprint M2M Command Center, a Web-based portal that will give Metrum and Tollgrade the ability to securely manage, activate and de-activate each smart grid device. In addition, they can suspend service, run usage reports and set alerts on how much data each module is operating, without ever having to call Sprint directly. Additionally, both Metrum and Tollgrade have completed Open Mobile Alliance (OMA) Device Management (DM) certification, allowing utilities to manage assets and infrastructure, ideally suited for large-scale deployments. This method of “over the air” management and activation enables a rapid configuration processes and efficient use of the wireless network. With more than a dozen years of experience with M2M, Sprint has been at the forefront of this wireless industry revolution, teaming with and supporting a large and diverse portfolio of innovative companies to create smarter wireless solutions that change the way people work and live. In 2010 Sprint opened the Sprint M2M Collaboration Center in Burlingame, Calif., a hands-on, interactive lab where ideas knowledge and technology unite to produce wirelessly enabled M2M concepts and products. Last year Sprint also introduced the Sprint Command Center, a Web-based portal that allows businesses with Sprint wireless-connected products the ability to manage, activate and de-activate each device. 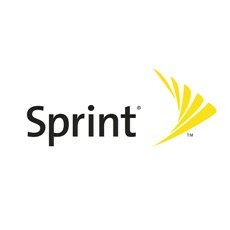 To learn more about Sprint’s M2M offerings, visit www.sprint.com/m2m.